Considered the father of modern science, Galileo Galilei (1564-1642) made major contributions to the fields of physics, astronomy, cosmology, mathematics and philosophy. He invented an improved telescope that let him observe and describe the moons of Jupiter, the rings of Saturn, the phases of Venus, sunspots and the rugged lunar surface. His flair for self-promotion earned him powerful friends among Italy’s ruling elite and enemies among the Catholic Church’s leaders. His advocacy of a heliocentric universe brought him before religious authorities in 1616 and again in 1633, when he was forced to recant and placed under house arrest for the rest of his life. Galileo Galilei was born in Pisa in 1564, the first of six children of Vincenzo Galilei, a musician and scholar. 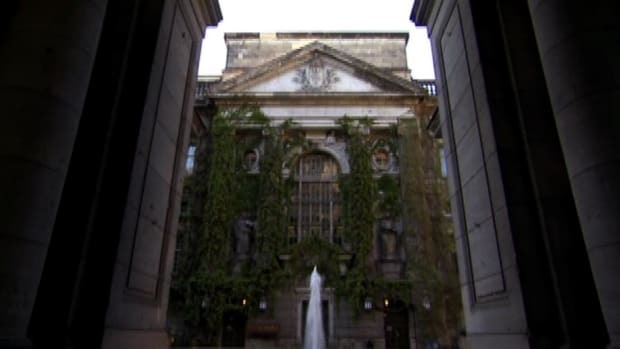 In 1581 he entered the University of Pisa to study medicine, but was soon sidetracked by mathematics. 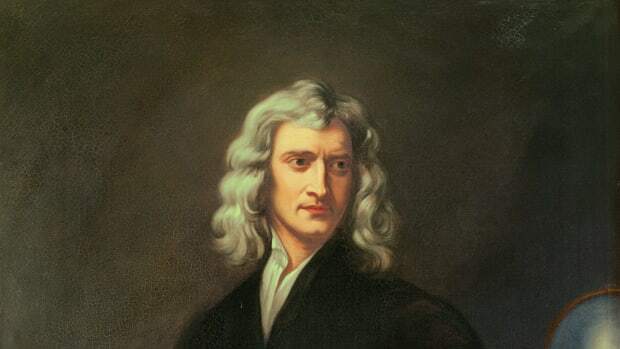 In 1583 he made his first important discovery, describing the rules that govern the motion of pendulums. Did you know? After being forced during his trial to admit that the Earth was the stationary center of the universe, Galileo allegedly muttered, "Eppur si muove!" ("Yet it moves!" ). 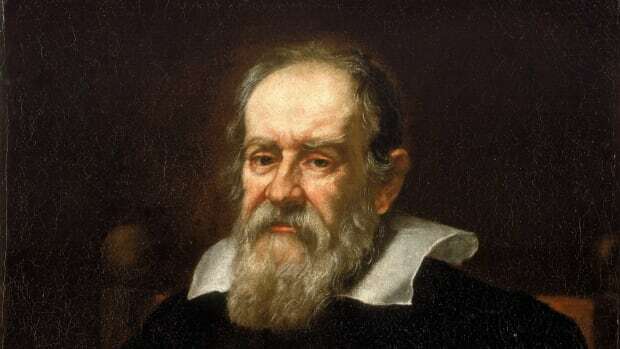 The first direct attribution of the quote to Galileo dates to 125 years after the trial, though it appears on a wall behind him in a 1634 Spanish painting commissioned by one of Galileo&apos;s friends. From 1589 to 1610, Galileo was chair of mathematics at the universities of Pisa and then Padua. During those years he performed the experiments with falling bodies that made his most significant contribution to physics. “The Starry Messenger” made Galileo a celebrity in Italy. Cosimo II appointed him mathematician and philosopher to the Medicis, offering him a platform for proclaiming his theories and ridiculing his opponents. Galileo’s observations contradicted the Aristotelian view of the universe, then widely accepted by both scientists and theologians. The moon’s rugged surface went against the idea of heavenly perfection, and the orbits of the Medician stars violated the geocentric notion that the heavens revolved around Earth. In 1616 the Catholic Church placed Nicholas Copernicus’ “De Revolutionibus,” the first modern scientific argument for a heliocentric (sun-centered) universe, on its index of banned books. Pope Paul V summoned Galileo to Rome and told him he could no longer support Copernicus publicly. Galileo was summoned before the Roman Inquisition in 1633. At first he denied that he had advocated heliocentrism, but later he said he had only done so unintentionally. Galileo was convicted of “vehement suspicion of heresy” and under threat of torture forced to express sorrow and curse his errors. Nearly 70 at the time of his trial, Galileo lived his last nine years under comfortable house arrest, writing a summary of his early motion experiments that became his final great scientific work. Galileo’s motion experiments paved the way for the codification of classical mechanics by Isaac Newton. His heliocentrism (with modifications by Kepler) soon became accepted scientific fact. His inventions, from compasses and balances to improved telescopes and microscopes, revolutionized astronomy and biology. And his penchant for thoughtful and inventive experimentation pushed the scientific method toward its modern form. In his conflict with the Church, Galileo was also largely vindicated. 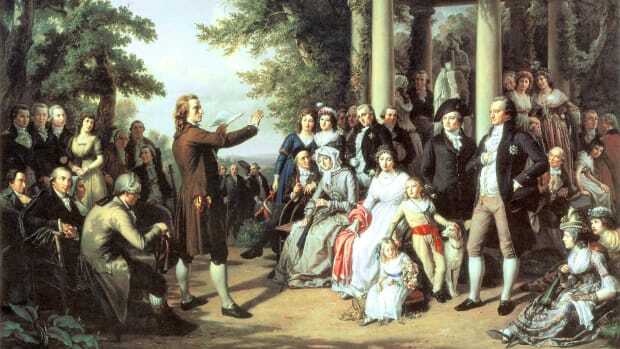 Enlightenment thinkers like Voltaire used tales of his trial (often in simplified and exaggerated form) to portray Galileo as a martyr for objectivity. 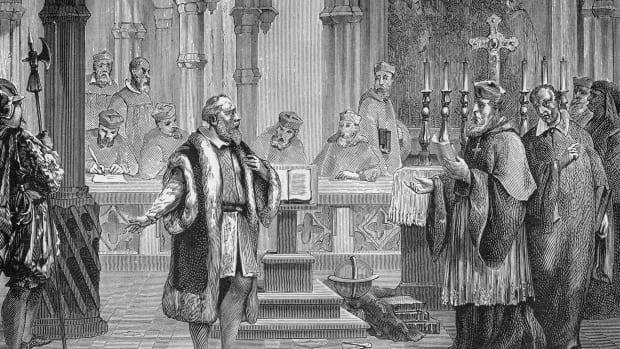 Recent scholarship suggests Galileo’s actual trial and punishment were as much a matter of courtly intrigue and philosophical minutiae as of inherent tension between religion and science. 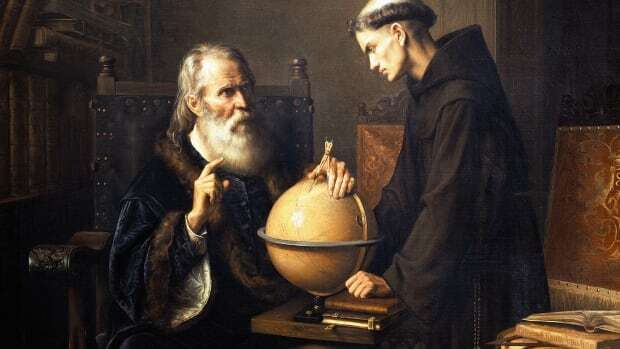 In 1744 Galileo’s “Dialogue” was removed from the Church’s list of banned books, and in the 20th century Popes Pius XII and John Paul II made official statements of regret for how the Church had treated Galileo.